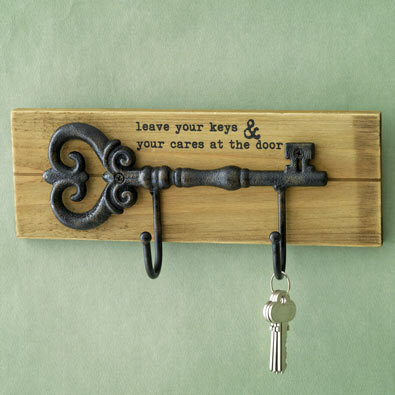 Keep this attractive key holder plaque next to the door and never lose your keys again! Crafted of wood and metal with two hooks. Comes with metal hangers on back for easy wall mounting. Measures 10" long x 3-1/2" high.